While WordPress is a great platform to run your website, it doesn’t have all of the features you probably want in a modern church website. One of the best things about building websites for churches on a WordPress framework is the enormous development community that churches can rely on. You can customize your church website with popular church themes. As there are lots of plugins available for free, it’s very easy to customize WordPress for different types of organizations. Here are some useful plugins I’ve used to help out churches that I think you might find helpful. I’m certain that there are many others that could make the list, but these make a great starting place. You are most welcome to suggest any additions to this list. You can use the comments box below to make any suggestions. If you like our art collection, so check out these other posts will interest you too: Free WordPress Photography Themes 2014, Premium WordPress Journalist Themes, Subscription Free Widgets for WordPress and Free Database Backup WordPress Plugins. The content block login form and the login widget are best used with Link installed and activated. You can setup the login form content block to be shown on a single entry, that way when a user visits the page and they are not logged in, they’ll be shown a login form right on their page. GeoDirectory was developed using WordPress standards, resulting in great performances, an intuitive user interface and back end options. Hooks and filters allow developers to extend GeoDirectory infinitely, also custom themes can be easily built around GeoDirectory. This plugin is designed for users of the Church Theme Content WP plugin. It adds the ability to synchronise people data from Fellowship One into CTC people records. This plugin is intended for a very specific audience. If you are not one of the below then this plugin will not be useful to you. Theme developers wanting to improve data portability among church WordPress sites. Business hours can be entered for each day of the week, and if needed multiple hours open/close periods can be added per day. It comes with a widget that will display only on the detail view of a single entry. Add a “Share to Godinterest” Button to your site and get your visitors to start sharing your awesome content! No need to copy and paste code throughout your WordPress site. This is an extension plugin for the Connections Business Directory Plugin. 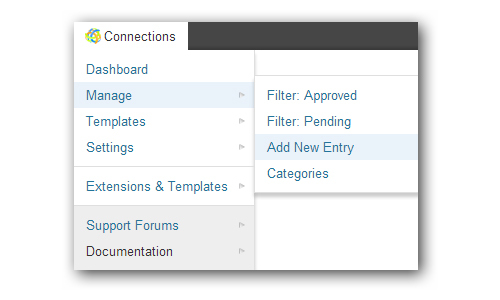 Quick click access without having to scroll to all of Connections admin pages from either the admin or the front end for easy management. Display upcoming Christian Science Bible Lesson topics in any widget-enabled sidebar on your site. Configure number of days in advance of Thanksgiving Day service to display explanatory message. The SermonAudio Widgets plugin will help you show sermons from your SermonAudio account on your WordPress-based website. Using this plugin, you can embed the different widgets from SermonAudio’s website, such as the Sermon Browser or Featured Sermon widgets. Sermon Manager is designed to help churches easily publish sermons online. You can add speakers, sermon series, Bible references etc. Sermons can have .mp3 files, as well as pdf, doc, ppt, etc. added to them. Video embeds from sites like Vimeo are also possible.